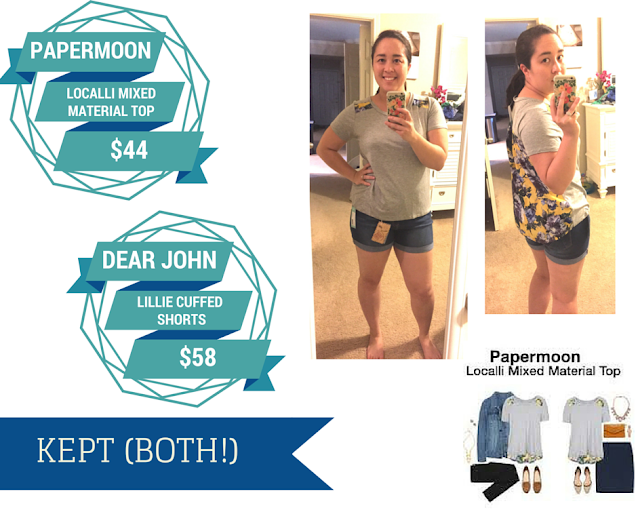 I switched my Stitch Fix to come every-other-month, to give my budget a break and to wear some items in my closet that aren't getting as much love. So when this 5th Fix finally arrived, I was SUPER STOKED and excited to see what my stylist, Sydney, had picked for me. 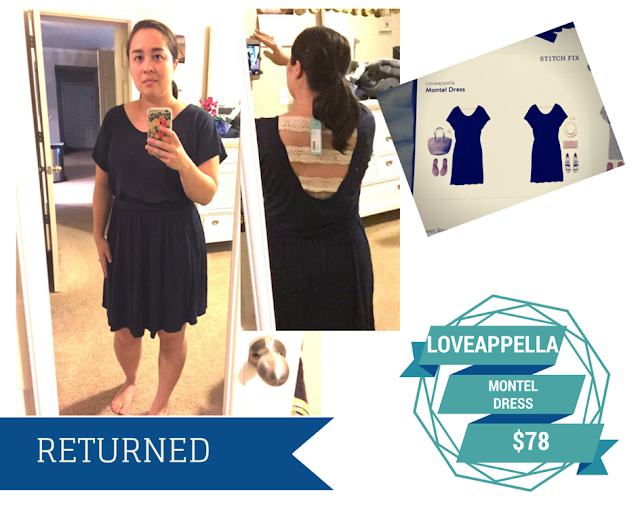 I have three issues with the Loveappella Montel Dress that I received. 1) The price is too high for a knit dress. 2) My bra would expose itself with the back accent. 3) It wasn't the best shape for me. But I love the feel of the fabric, so I think my stylist is figuring out that I love comfy knits for sure. 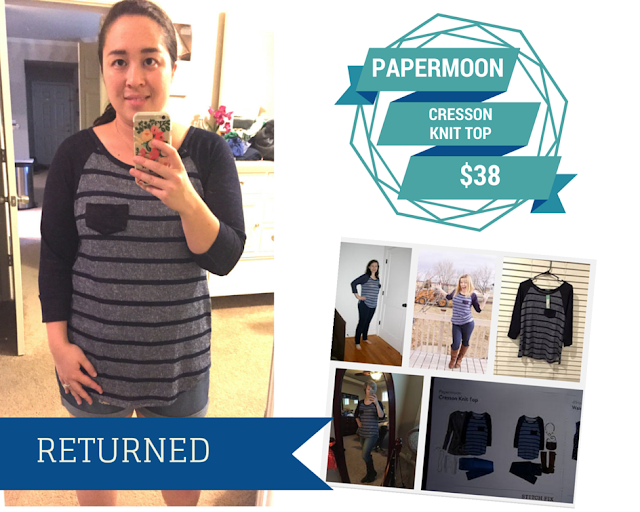 I'd pinned a lot of mixed material tops from Anthropologie for Sydney to look at, and she absolutely nailed it with the Papermoon Localli Mixed Material Top. It's soft, pretty, casual, and fun! It was the piece I was most excited about. DONE. But when I got the Dear John Lillie Cuffed Shorts, I was not happy. I'd told my stylist I wasn't interested in any bottoms, and I DON'T WEAR SHORTS. 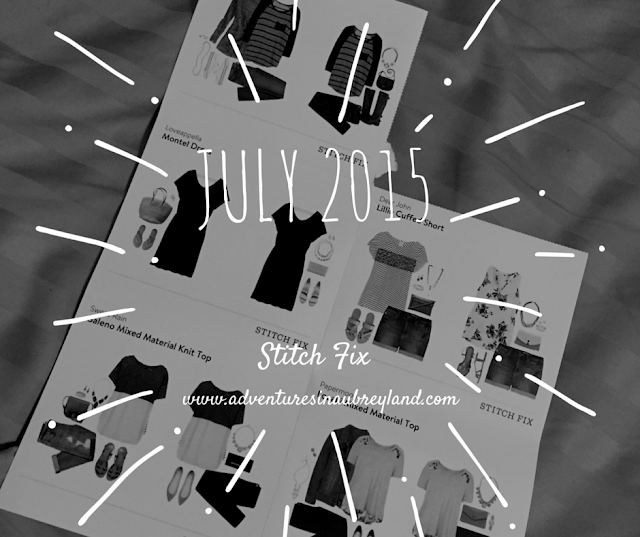 I have "chub rub" issues and most shorts with an inseam long enough to prevent that make me look like a Mom. Well, guess what... I now own a pair of shorts. This stretchy denim shorts were soooo comfy, long enough for me, and they fit like a glove. I can't believe I have SHORTS. It looks like Sydney took a calculated risk sending these to me and nailed it. 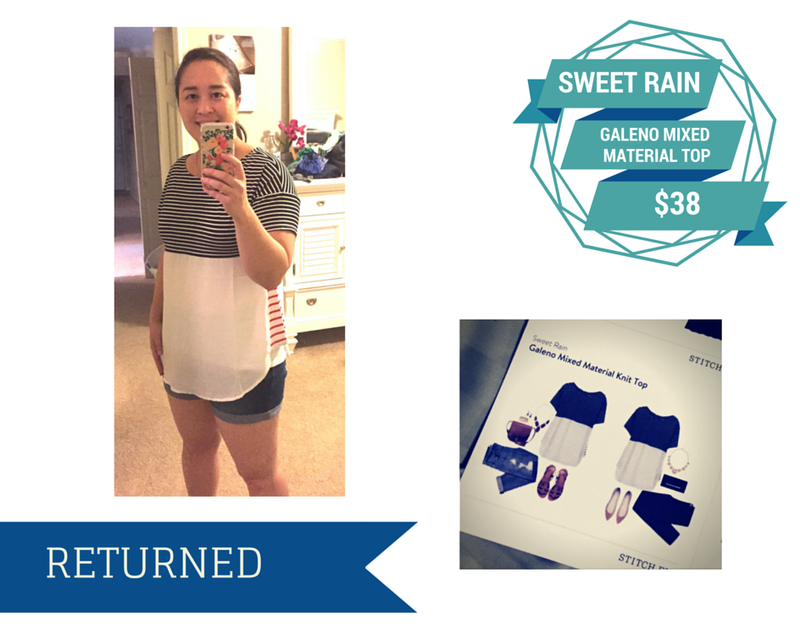 The Sweet Rain Galeno Mixed Material Top was good in theory for me, but the white portion was too sheer. Even with a cami underneath, it showed the white of the cami. I didn't like that. If the white portion had been a t-shirt knit material, I'd have been tempted to keep it despite the stripes on top making my shoulders look a bit broad. Oh, I wanted to love the Papermoon Cresson Knit Top, quite possibly the softest and shirt known to man. Comfort, comfort, comfort! But there was a small snag in the material, and it made me think about what my cats might do to this beautiful shirt. I wanted to keep it, but I was on the fence given the snaggability (new word I made up) of the knit. Overall, I decided to keep two items that added up in cost to $102. Minus the $20 styling fee and the $55 in credits (thank you!) I was sitting on, my total came to $27 out of pocket paid for the shorts and the top... not too shabby whatsoever!